A mama blessing is a pre birth celebration, a ceremony where women gather in circle to support, empower and celebrate a women in the days leading up to birth. A mama blessing can be organised by friends or the mother to be and held as an alternative to a traditional baby shower. It does differ however to a traditional baby shower as the focus is on the pregnant woman and giving her strength, love and encouragment, rather than being focused on the baby and present giving. The term 'Blessing way' is often interchanged with mother blessing or mama blessing. A Blessing way is a sacred navajo ceremony and out of respect for the navajo people we use the term mama blessing instead. First step is to create a space. 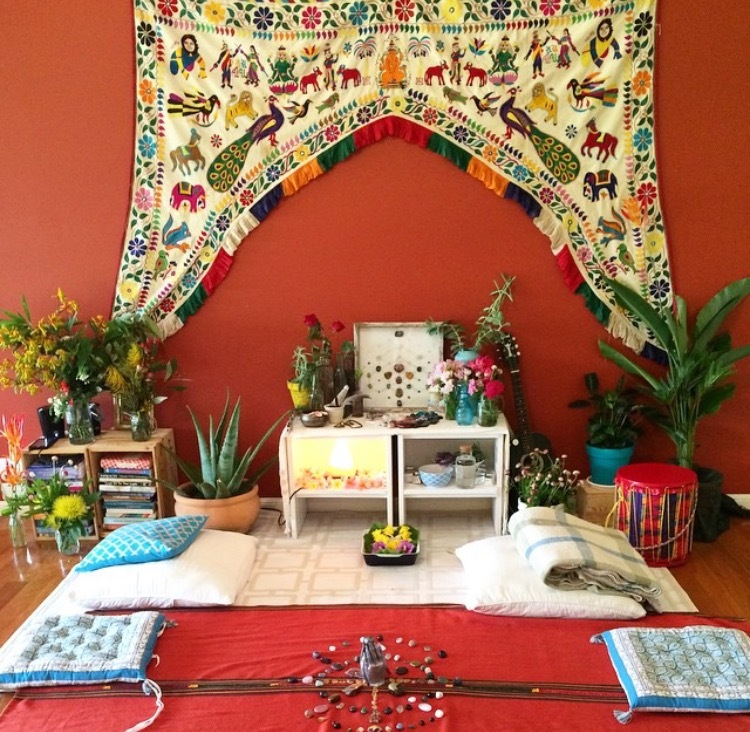 As the mama blessing is a women’s circle the first thing you need to do is create a comfortable ritual space. Decide on the space where you are going to hold your circle, this can simply be a cleared lounge room or a backyard with thrown down rugs and cushions placed in a circle big enough to seat your guests. Creating a center-piece, such as a crystal mandala, in the center of your circle adds a special sacred touch. Ask each guest to bring a flower from their garden to contribute to the centerpiece. 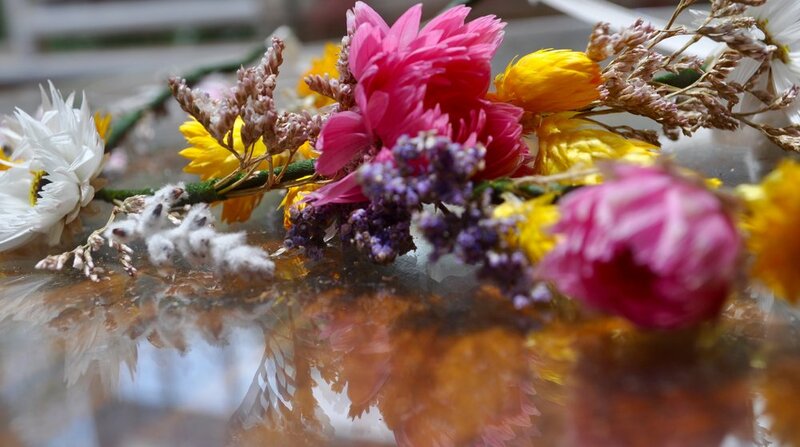 A flower crown for the mother to be is also a wonderful way to celebrate her beauty. Burning sage or smudging is a great way to begin your circle as it is grounding and relaxing. Smudging helps to ‘wash off’ unwanted outside influences and can help set the tone for your circle. Beginning with everyone sitting still in guided meditation is a way for your circle to relax, be present, to set intentions and to manifest joy and positivity for themselves and for the mother to be. Sharing a blessing through either the salt or water ritual is a key part of the circle. This is a time for each guest to speak beautiful and positive words to the expectant mother, to give her a blessing, a wish or a positive affirmation. The infused salt or water is given to the mother to use during labour or after birth to soak in your blessings. The string ritual is a beautiful way to close the ceremony, linking everyone together to maintain the connection. A reminder of the support, love and encouragement within the circle of women. Eating together is a big part of a mama blessing, whether it be catered, 'bring a dish' or prepared by the host.